African Harmonies is the new album from the trio Insingizi and is their 3rd international release following their first two critically acclaimed CDs, Voices of Southern Africa Volumes 1 & 2. 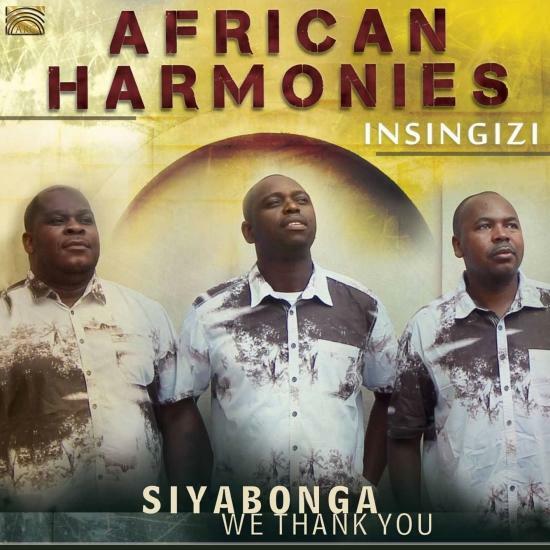 African Harmonies is Insingizi’s ‘Thank You’ or Siyabonga in the IsiNdebele language of Zimbabwe, as this CD is dedicated to their friends and fans who have been there from day one. African Harmonies is performed in English and Ndebele in perfect 3-part harmonies. Since the North American release of their first album Voices of Southern Africa went Gold with over 250,000 copies sold, Insingizi have toured extensively as a group and with their own solo projects, winning France’s ‘ Prix France Musique du Monde 2010’ (Radio France World Music Award). Insingizi started as a high school project with a number of singers in 1987. After school the project continued with the main members that now remain: Vusa Mkhaya Ndlovu, Dumisani Ramadu Moyo and Blessings Nqo Nkomo. While Insingizi are no strangers to world fusion as seen by their collaboration with Austrian musician Roland Guggenbichler called the Mozuluart project, a fusion of traditional zulu music with classical music based on Mozart, African Harmonies is back to the roots for the trio. The band also regularly performs with Dutch blues guitarist Hans Theessink. African Harmonies includes songs of celebration and also warnings to political leaders to make sure they keep on the path to positive change: Vuma is there to remind leaders of their duty to revive and move the nation forward so that values can be guided and monitored in a good way. But songs of hope and optimism win the day on African Harmonies with the delightful Laduma, while the power of prayer in Umkhuleko is portrayed as having the power to change all, no matter how hard the situation may seem. Insingizi’s voices are going to a global stage from 25th Sept when the album is released worldwide through ARC Music. 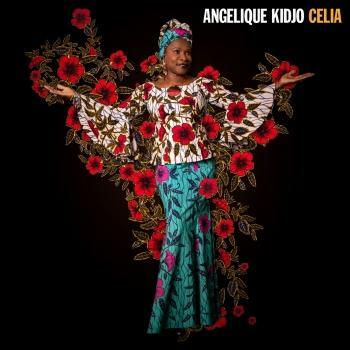 One can’t help but smile with the warmth that abounds in African Harmonies. Insingizi’s road ahead is wide open. Jerusalem is a song that negates the violence of the historical city by describing it, instead, as a heavenly paradise of fairy-tale mountains, valleys and rivers, which will, one day, be home, sweet home. Wherever they go, the purity of their vocal interplay is overwhelmingly beautiful, the lyric is ultimately hopeful, and the inherent tone of their message is true to their spiritual beliefs. Put simply, an evening with Insingizi is a sure recipe for a truly inspirational experience.